Springer, Germany, 2006, ISBN: 1-84628-331-0. World Scientific, Singapore, 2003, ISBN: 981-238-337-9. IEEE/ASME Transactions on Mechatronics, 18 (3), pp. 1113–1121, 2013, (DOI: 10.1109/TMECH.2012.2193895). IEEE/ASME Journal of Microelectromechanical Systems, 20 (6), pp. 1372 - 1381, 2011. IEEE Transactions on Nanotechnology, 9 (4), pp. 438–448, 2010. IEEE Transactions on Control Systems Technology, 16 (6), pp. 1265–1276, 2008. Mechatronics, 18 (5--6), pp. 273–281, 2008. IEEE Transactions on Control Systems Technology, 16 (1), pp. 3–12, 2008. IEEE Transactions on Control Systems Technology, 5 (5), pp. 853–866, 2007. IEEE Transactions on Control Systems Technology, 15 (4), pp. 689–703, 2007. Smart Materials and Structures, 16 (2), pp. 439–446, 2007. Micro and Nano Letters, 2 (1), pp. 9–12, 2007. IEEE Transactions on Control Systems Technology, 14 (1), pp. 33–44, 2006. IEEE Transactions on Control Systems Technology, 13 (1), pp. 98–112, 2005.
Review of Scientific Instruments, 76 (7), 2005. Smart Materials and Structures, 18 (2), pp. 291–315, 2004. IEEE/ASME Transactions on Mechatronics, 9 (1), pp. 87–99, 2004. Journal of Intelligent Material Systems and Structures, 15 (2), pp. 77–92, 2004. 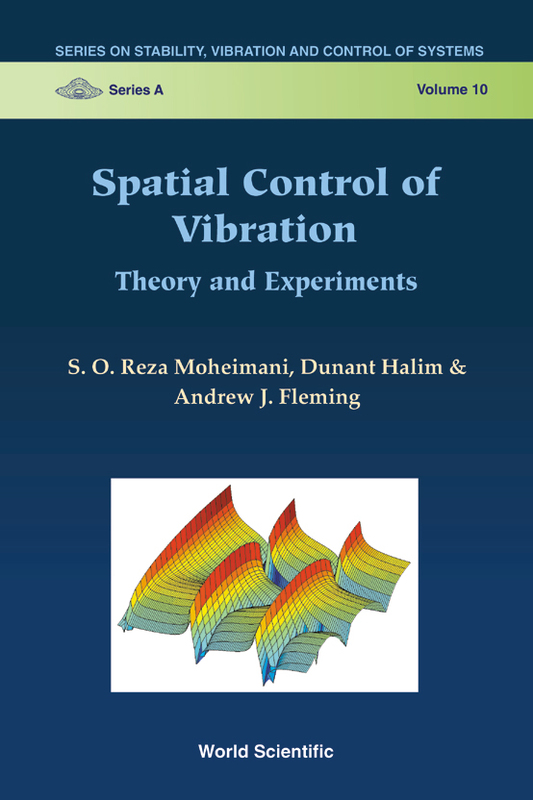 Journal of Sound and Vibration, 266 (5), pp. 929–942, 2003. IEEE Transactions on Control Systems Technology, 11 (5), pp. 726–736, 2003. Smart Materials and Structures, 12 (1), pp. 57–64, 2003. Electronics Letters, 39 (3), pp. 282–284, 2003. Smart Materials and Structures, 12 (1), pp. 49–56, 2003. Smart Materials and Structures, 12 (1), pp. 18–28, 2003. Smart Materials and Structures, 12 (1), pp. 36–48, 2003. Transactions of the ASME, Journal of Vibration & Acoustics, 124 (3), pp. 414-419, 2002. IEEE/ASME Transactions on Mechatronics, 7 (1), pp. 87–94, 2002. Electronics Letters, 37 (25), pp. 1505–1506, 2001. Electronics Letters, 36 (18), pp. 1525–1526, 2000. Proc. Australian Control Conference, pp. 26–31, Melbourne, Australia, 2011. Proc. IEEE/ASME International Conference on Advanced Intelligent Mechatronics, pp. 634–639, Budapest, Hungary, 2011. Proc. American Control Conference, pp. 289 – 294, St. Louis, Missouri, USA, 2009. Proc. International Conference on Adaptive Structures and Technologies, Ascona, Switzerland, 2008. Proc. 4th IFAC Symposium on Mehatronic Systems, Heidelberg, Germany, 2007. Proc. IEEE/ASME Confernece on Advanced Intelligent Mechatronics, pp. 1 – 6, Zurich, Switzerland, 2007. Proc. American Control Conference, pp. 2220 – 2225, New York City, USA, 2007. Proc. European Control Conference, Kos, Greece, 2007. Proc. SPIE Symposium on Smart Materials and Structures, San Diego, CA, 2007. Proc. 17th International Conference on Adaptive Structures and Technologies, Taipei, Taiwan, 2007. Proc. 17th International Conference on Adaptive Systems and Structures, 2006. Proc. 4th IFAC Symposium on Mechatronic Systems, Heidelberg, Germany, 2006. Proc. SPIE Symposium on Smart Materials and Structures, San Diego, CA, USA, 2006. Proc. IEEE CDC-ECC, Seville, Spain, 2005. Proc. 16th IFAC World Congress, Prague, 2005. Proc. 3rd IFAC Symposium on Mechatronic Systems, Sydney, Australia, 2004. Proc. SPIE Symposium on Smart Structures & Materials - Damping and Isolation, San Diego, CA, USA, 2004. Proc. IEEE Conference on Decision and Control, Bahamas, 2004. Proc. 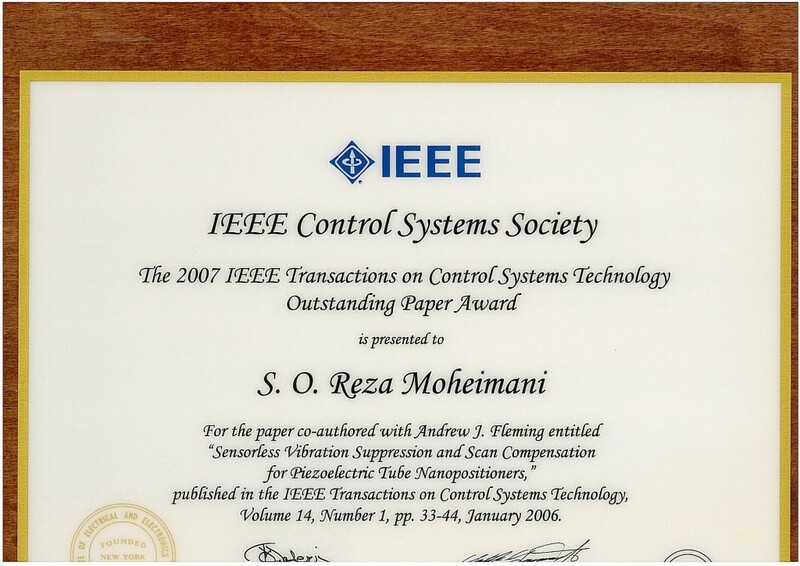 IEEE CDC, Hawaii, USA, 2003. Proc. SPIE Symposium on Smart Structures & Materials - Damping and Isolation, San Diego, CA, USA, 2003. Proc. of the em 2nd IFAC Conference on Mechatronic Systems, Berkeley, CA, U.S.A., 2002. Proc. IEEE Conference on Decision and Control, Las Vegas, Nevada, U.S.A., 2002. Proceedings of 15th IFAC World Congress, Barcelona, Spain, 2002. Proceedings of SPIE Symposium on Smart Structures and Materials -- Industrial and Commercial Applications of Smart Structures Technologies, San Diego, CA, 2002. Proc. SPIE's 8th Annual International Symposium on Smart Structures -- Damping & Isolation, pp. 239–250, New Port Beach, CA, USA, 2001. Proc. SPIE Symposium on Smart Materials and MEM's, Melbourne, Australia, 2000. Proc. International Symposium on Smart Structures and Microsystems, Hong Kong, 2000. Proc. IEEE International Conference on Control Applications & IEEE International Symposium on Computer-Aided Control Systems Design, Anchorage, Alaska, 2000.